Product code: T892 Categories: Art Deco, Art Deco Rings & Art Deco Engagement Rings. 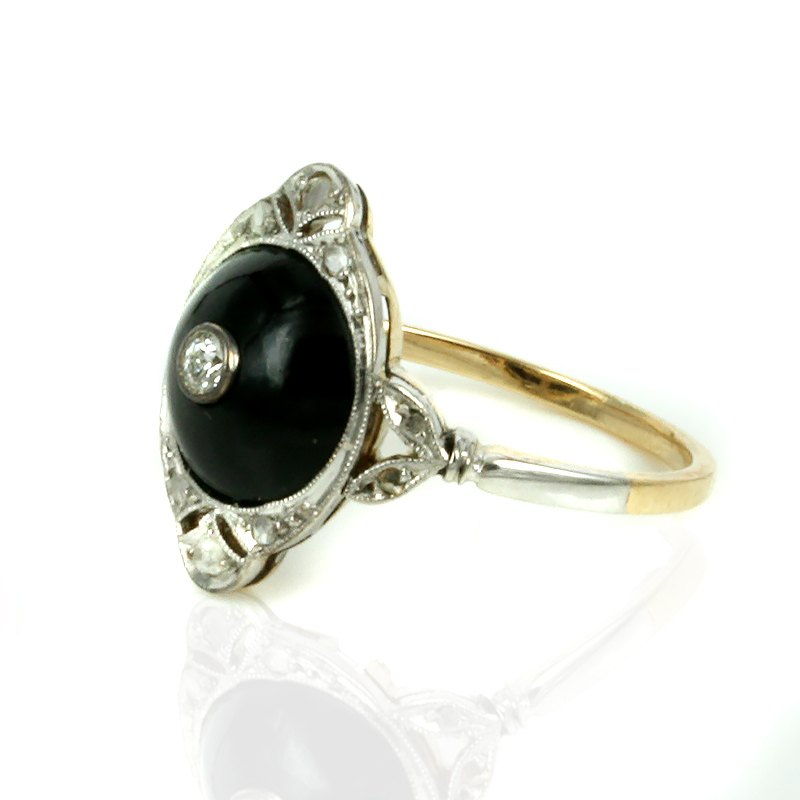 This onyx and diamond ring is typical of the Art Deco jewellery of the 1920’s and looks so amazing on the finger. 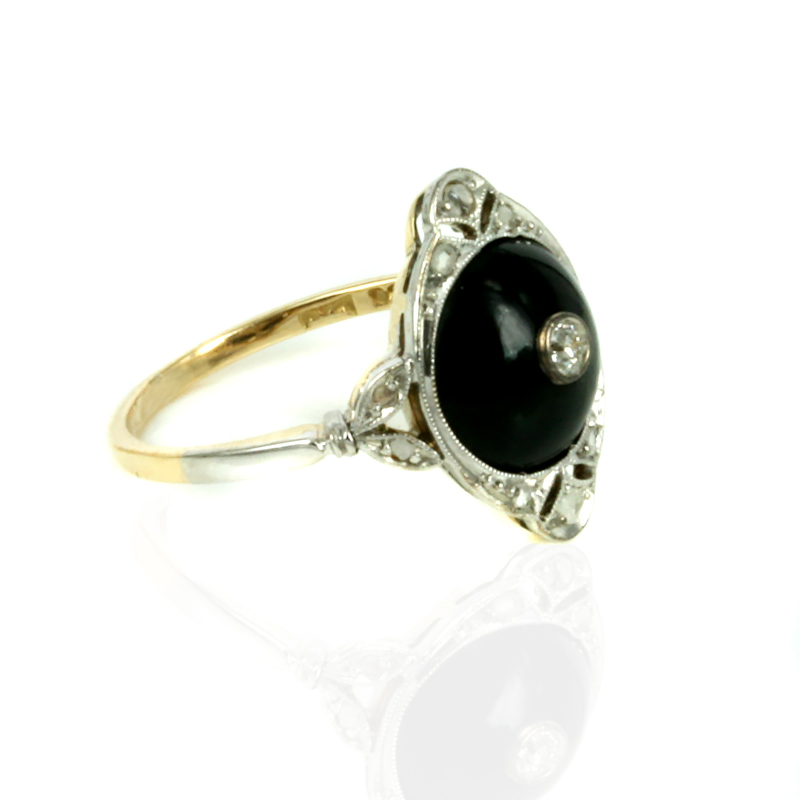 Hand made in 18ct yellow gold and platinum, this Art Deco diamond ring is set with a round piece of black onyx with a central set 0.06ct diamond, and a further 10 rose cut diamonds that total 0.10cts. The jewellers of the Art Deco period created such sensational designs in jewellery, and this ring is destined to always be admired and appreciated. 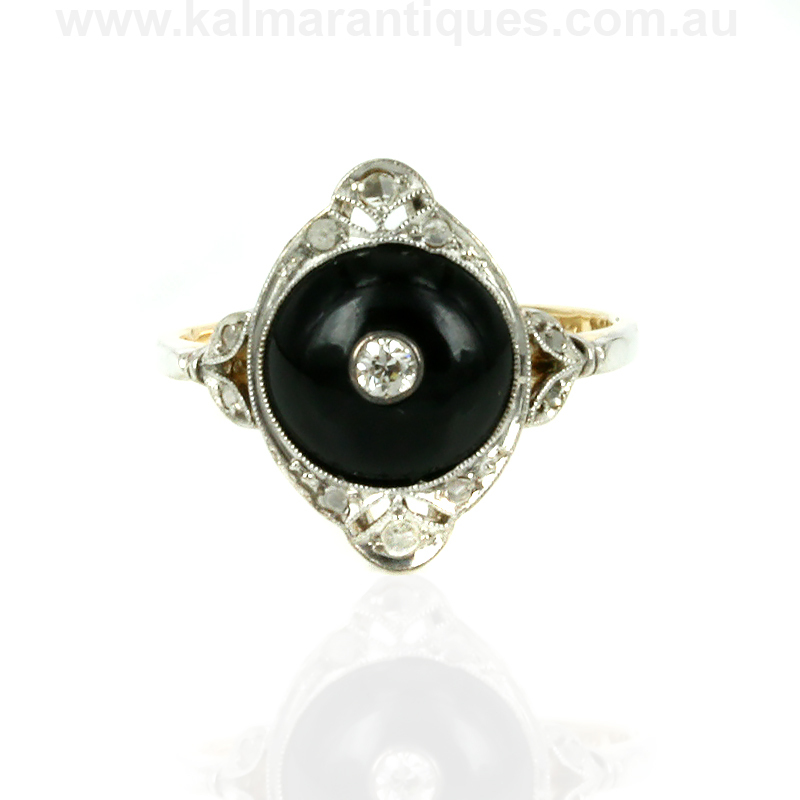 This Art Deco diamond and onyx ring will sit perfectly on the finger and measures 1.5cm from top to bottom. Diamond Art Deco rings are always sought after, and this one will certainly be no exception. Tag: Platinum Art Deco diamond & onyx ring.